Texas has defined my sense of place and perspective throughout my entire life, only I hadn’t been paying attention till asked the question, “What makes me Texan by nature?” Born in El Paso, my earliest of memories of my hometown are that of a desert, big beautiful skies, a mountain range defining the city skyline and extraordinary sunsets that accentuated every ordinary day. El Paso, much like its people, straddles distinct realities, sitting at the perfect intersection of two countries and three states (Texas, New Mexico, & Chihuahua) along with the cultures that define them. It’s a place that is often overlooked, misunderstood, and passed through like the name suggests. We pride ourselves on our love of our food, our love of family, and a charm-filled city that not many people understand unless you’re a native. And it often takes most of us natives to leave to truly see and appreciate it. I left when I was 18, like many other 18 year olds, curious and restless. When it came time for college, I opted for a friendly, hippiesque, tree-lined town of Austin. Austin is where I grew curious of other cultures, other ideas and ways of being and learned just how much my El Paso experience had sheltered me from difference all together. Austin was unlike any place I had ever been in that it was friendly and open and cool without trying too hard. But after eight years of learning, exploring and being a little too comfortable in what eventually felt familiar, I once again packed up and left for New York City. 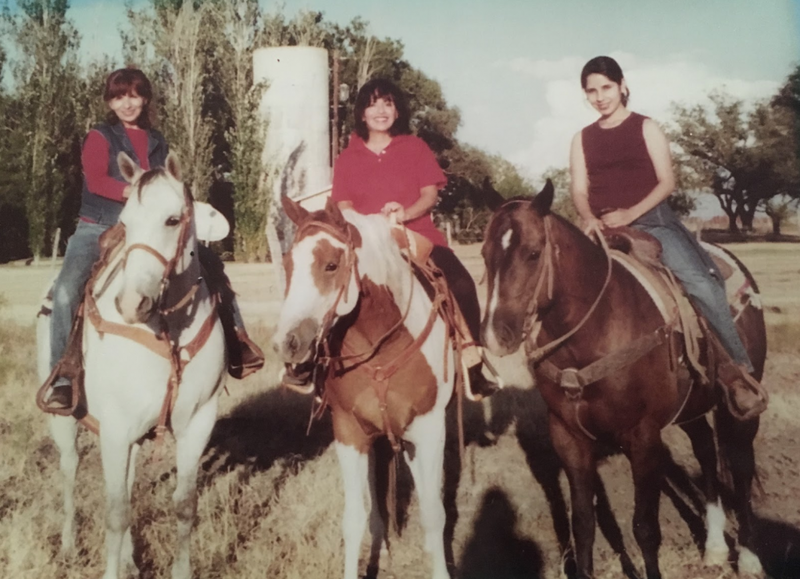 If leaving for Austin helped me self-identify as more of an El Pasoan, I think being in New York, somehow made me more of a Texan as despite being away for ten years, I clung to my home state and my idea of it. In year one, I decided wearing cowboy boots in the snow made sense because I didn’t care what happened to them and somehow I felt tougher and stronger in them despite my slips. I also opted for jeans, once asking my then boss to change the dress code and I’d commit for life. I kept my manners of sir and mam, said hello and good day to strangers, drank sipping tequila and learned how to roast Hatch green chiles in a kitchen the size of a closet. I also wore silver, copper and turquoise as an homage to my grandmother but also to remind me of the desert town I came from. I called my family daily and got on flights to come home every two-three months for birthdays, holidays, and life events and my savings account could prove it. And after 10 years of the hustle and beautiful grind of NYC, when faced with the decision of what to do next, I came home to be next to family and build my own. Texas is stickiest state in the country, second to Alaska. People who are born here likely stay here. If they move, they come back. And I don’t know if it’s our families, our open roads, blue skies, our boots or sense of possibilities when wearing them, but Texas is where people can make anything happen because our people do. We are equal part dreamers, rule breakers, doers and builders. And while I’m sure most states could or would say the same…I’m from Texas so I’ll own it. I am forever grateful for my El Paso grounding, for the spring board that Austin provided and to places that afforded me the distance to see the beauty and blessings of both. El Paso is where I’m rooted and Austin gave me wings.